Jaime strives for the best and has high expectations in everything she does. 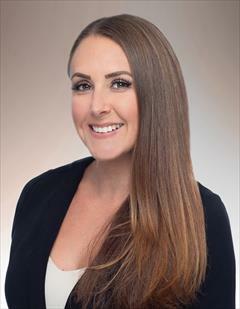 She understands the liability and importance of selling and purchasing real estate, and the significance of staying in constant communication with her clients every step of the way. She is known for her determinations, negotiation skills, and market knowledge; and has successfully listed and sold homes on O'ahu since 2014. Jaime grew up in Florida and used to work for the airline industry before moving out to Hawai'i in 2009. From the first time visiting she just knew Hawai'i was home for her. After monthly trips for a little over a year she decided to take a leap of faith and move to O'ahu without a job or any family nearby. Beyond qualifications as a REALTOR-ASSOCIATE®, Jaime has over 20 years of experience in customer service, 15 years of office administration and 5 years in management. This background has reinforced the importance of relationships, attention to detail, timeliness and creativity. These combined experiences established the foundation of her success as a specialist in the housing market for both single family homes and condominiums throughout the island of O'ahu. Jaime also led the development of the First Time Home Buyer Workshop at previous brokerage firm, which now occur monthly and has been a great success. Currently, she demonstrates her willingness to lead through her involvement in the local chapter, Young Professionals Network of O'ahu, for which she is currently Vice-Chair, as well as by joining the committee to revamp and revitalize the state chapter, Hawai'i REALTORS® Young Professional Network. She has organized multiple successful events for both networks and is deeply committed to creating opportunities. Outside of the real estate world Jaime is actively engaged in CrossFit, Hui Nalu Canoe Club, traveling, and spending time with her husband and fur baby.